Bet you didn’t know that the Housing Development Board (HDB) operates shopping malls right where you live in the heartlands? Or that many of the shops in HDB shopping centres sell useful things? Don’t believe me? 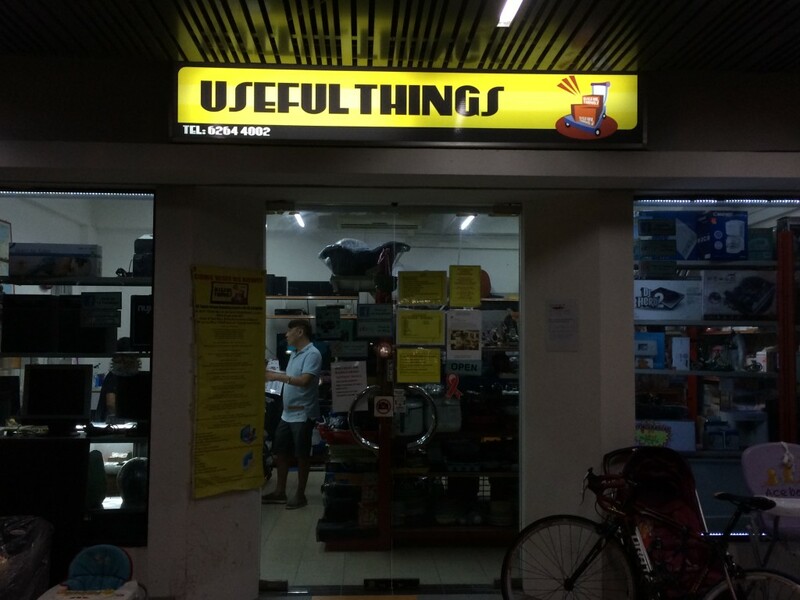 Check out this shop at Taman Jurong Shopping Centre! 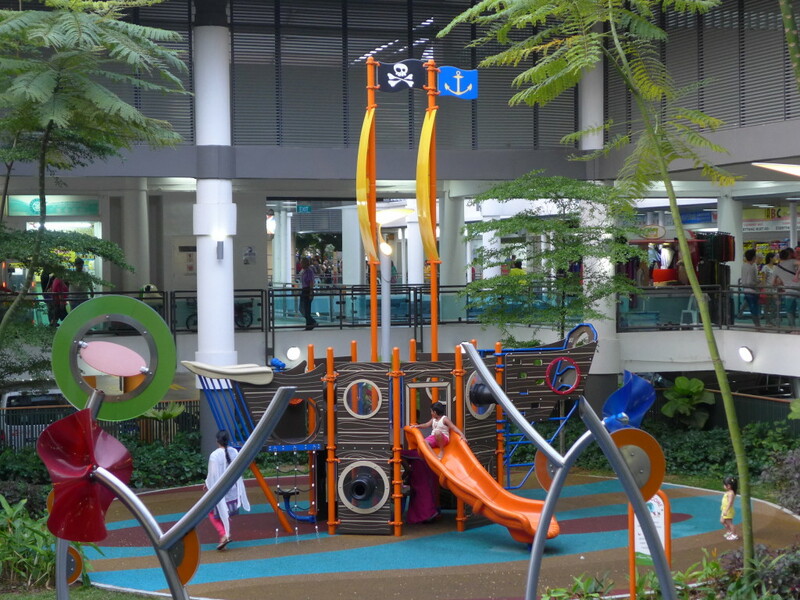 Thanks to an invitation from Alvinology and HDB, I had the chance to experience the whimsical west at Taman Jurong Shopping Centre. To encourage more Singaporeans and residents to join in the fun, the Board has organised a whole slew of activities to celebrate Singapore’s 50th birthday. 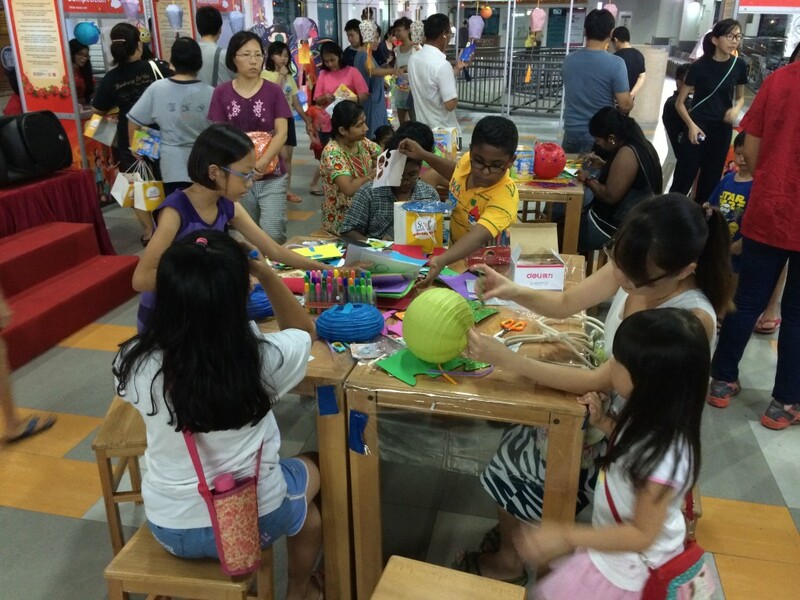 A total of 24 HDB shopping centres are participating in this activity. Check them out here and visit the one nearest to your home. So what did I experience in my journey to the west? After dropping off at Lakeside MRT and taking a short bus ride (you can take 30, 98, 98M, 240, 246 or 178), I managed to locate the shopping centre. 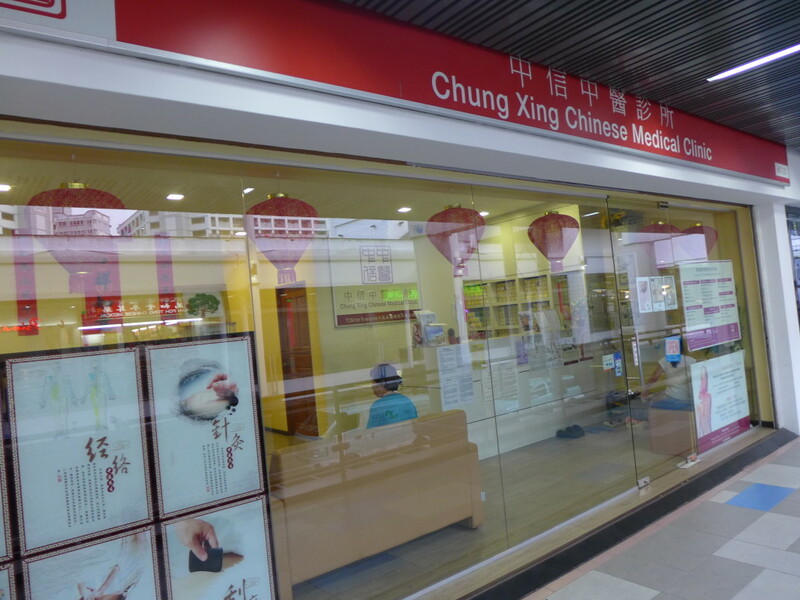 Located next to the Taman Jurong Community Club at Block 399 Yung Sheng Road, Taman Jurong Shopping Centre occupies 8,000 square metres. With 61 retail and service outlets, it serves more than 6,600 dwelling units in the neighbourhood. 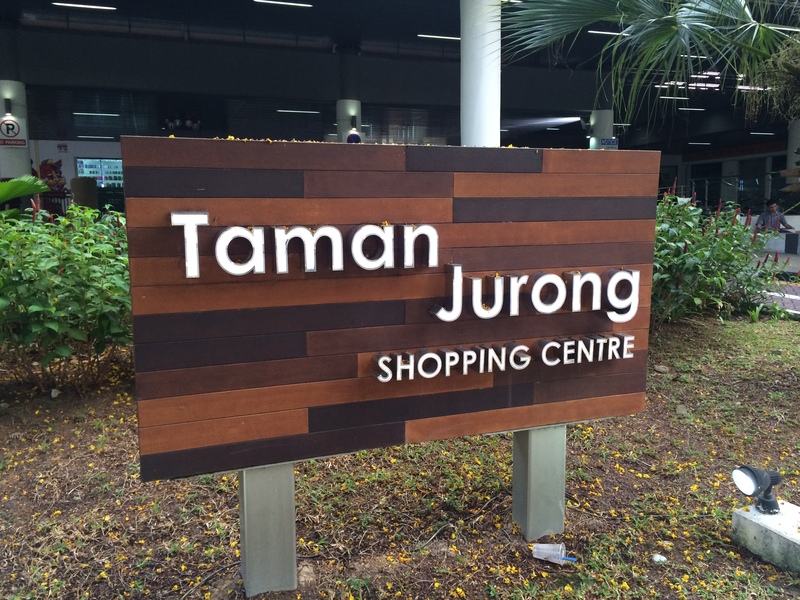 So what are 12 good reasons to travel to Taman Jurong Shopping Centre? When I visited the shopping centre last Sunday, I was drawn to the crowd assembling at its foyer. Apparently, a Mid-Autumn Festival event took place that day. Visitors could participate in a lantern design or traditional riddle guessing game to win attractive prizes. 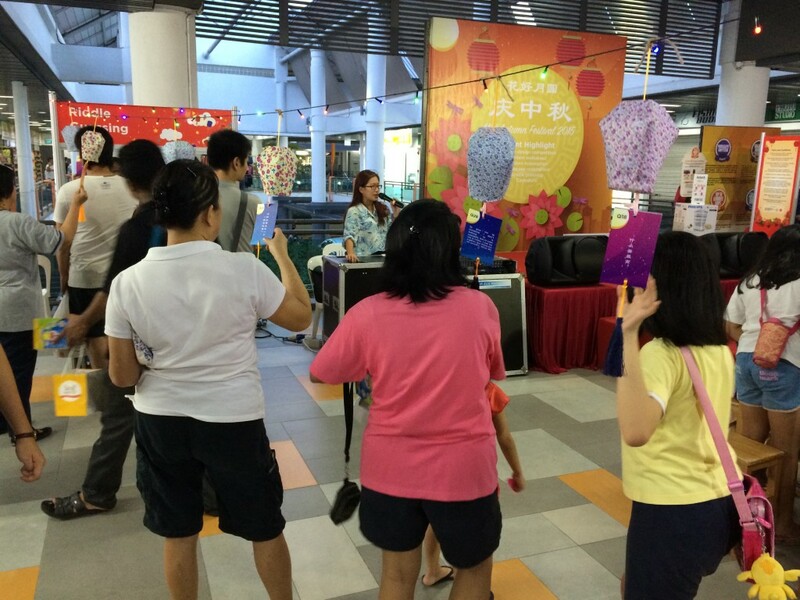 Queues also formed to redeem gifts like lanterns, mooncakes or caricature drawings (participants had to spend $20 at any of the shops at the centre). You could also take a photo at the mid-autumn themed standee or go on a lantern walkabout that day. 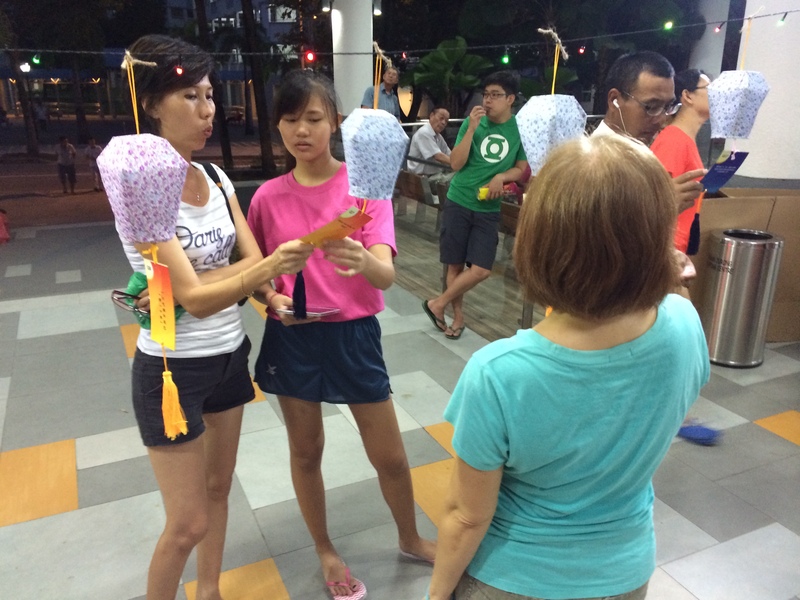 I loved how people of all ages and races came together to design a lantern. The kids looked really serious at their craft. I wonder who won the competition? Here are some ladies from the neighbourhood cracking their heads trying to guess the answers to the riddles. 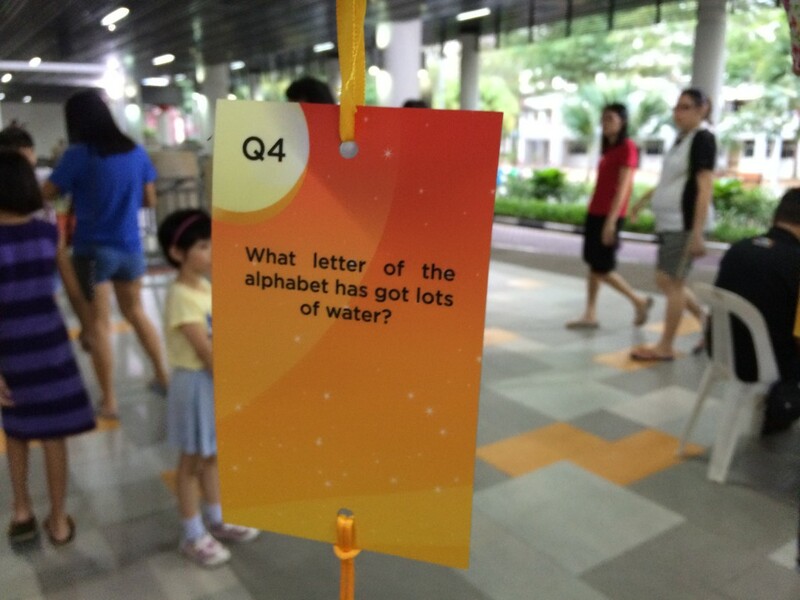 Can you guess the correct answer to this riddle? Sorry ah, no prizes for getting this one! The artist doing the caricature was pretty good. See what he did for me? 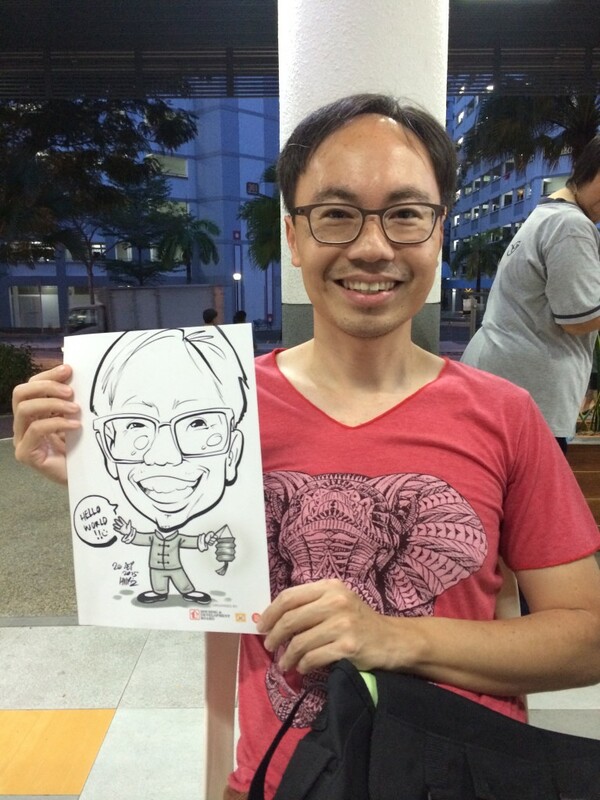 You can hire these professional caricature artists at Cartoon.sg. 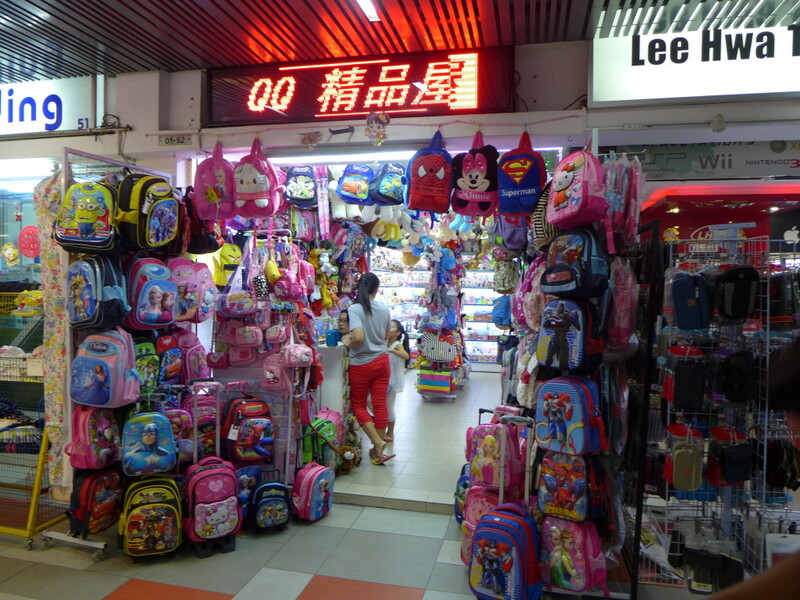 Reason number 2 is that unlike commercial shopping malls, shops in HDB shopping centres have a casual laidback feel. 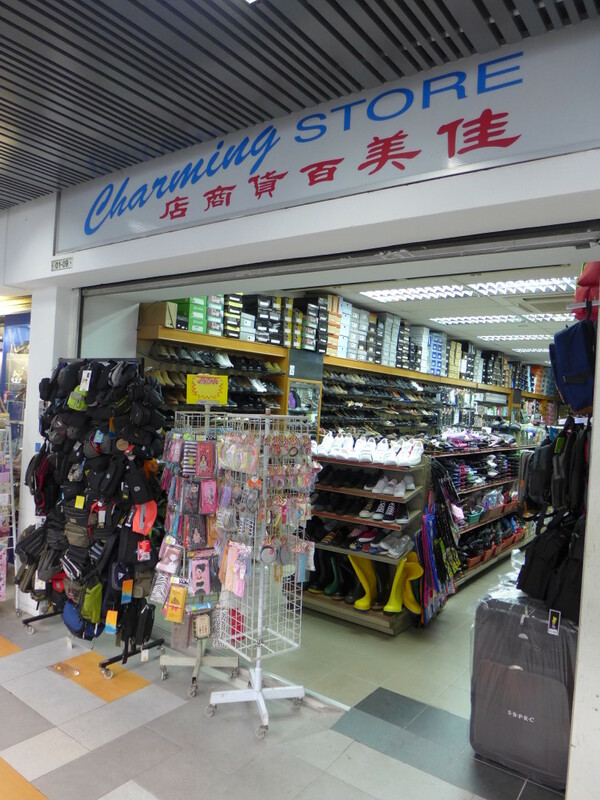 Many of the shops have charming names – like this one here selling bags and footwear. As you would imagine, shoppers on a tight budget are in their element here. 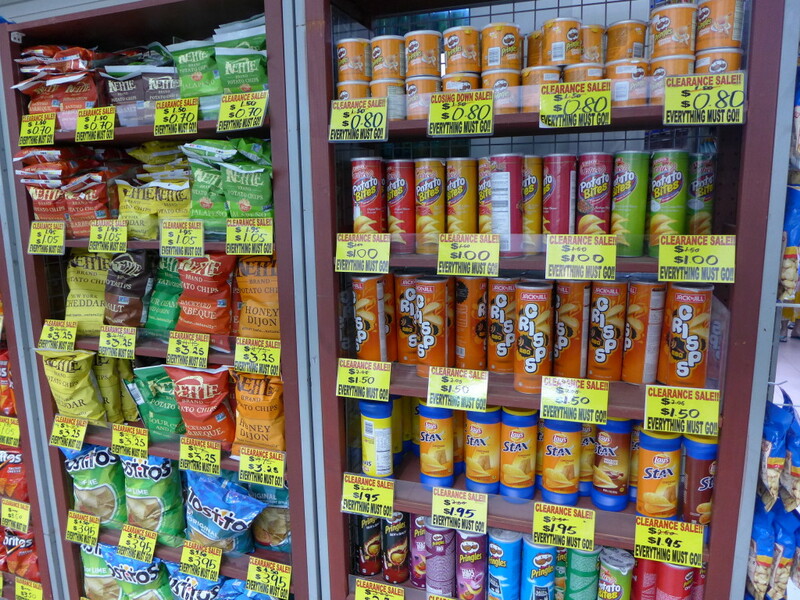 Anybody craving for cheap chips? 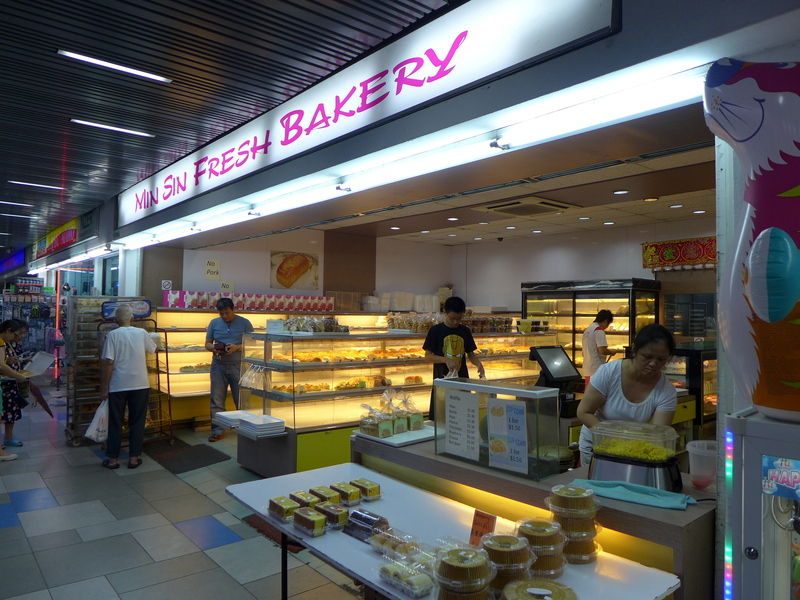 The wonderful whiff of freshly baked waffles and bread attracted me to this bakery here. Priced at $1.50 or less, most of its buns were considerably cheaper than Bread Talk. And no, they do not sell any fresh soya bean milk here. 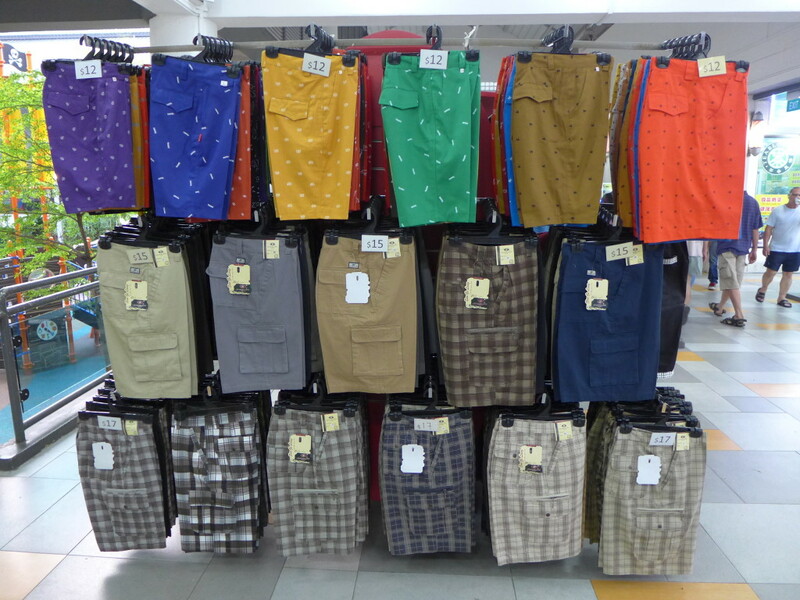 United colours of bermudas – for HDB shoppers looking for bargains. 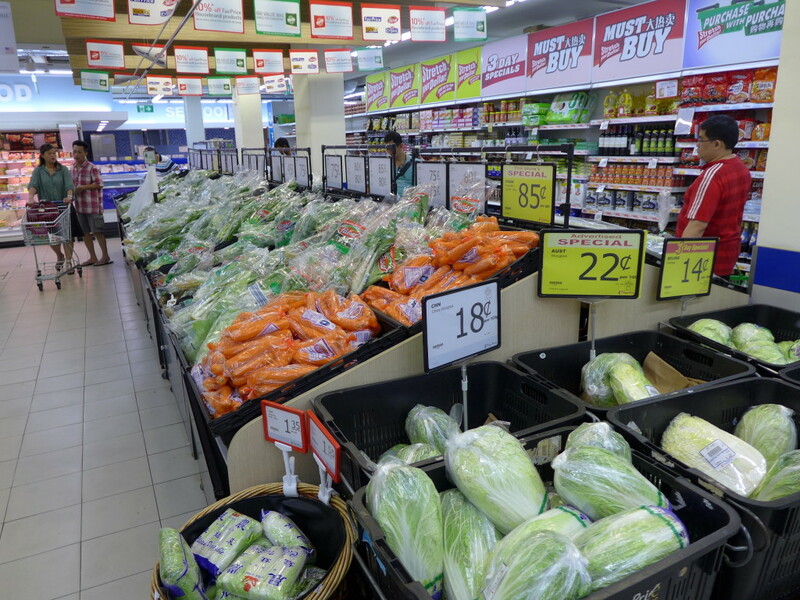 Unbelievably affordable, even when converted to ringgit, rupiah or renminbi! 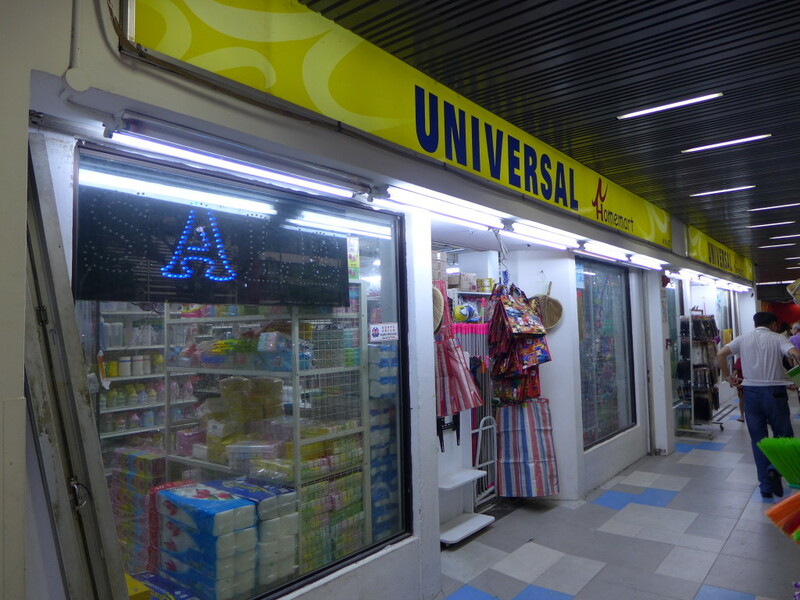 What’s a HDB shopping centre without a good old NTUC Fairprice supermarket? Feeling famished from all that shopping? You can take your pick of two F&B outlets. 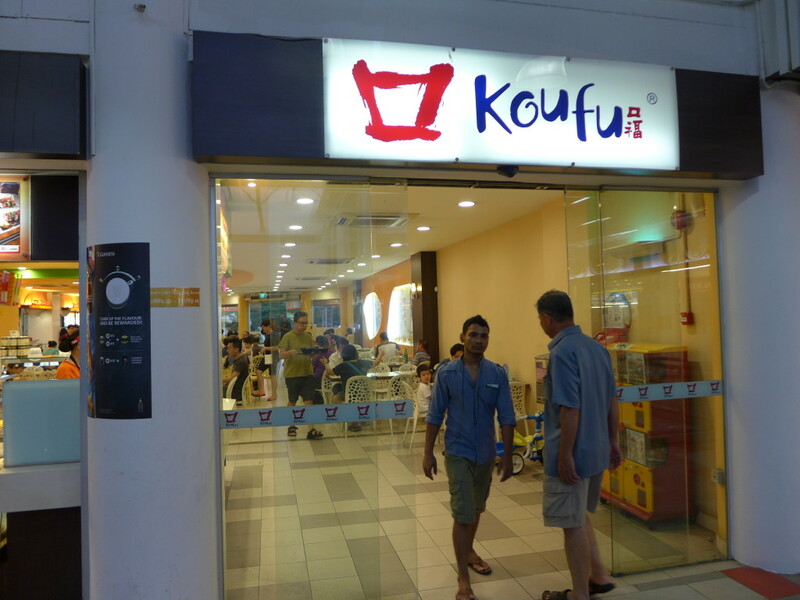 The first is the ubiquitous Kou Fu. 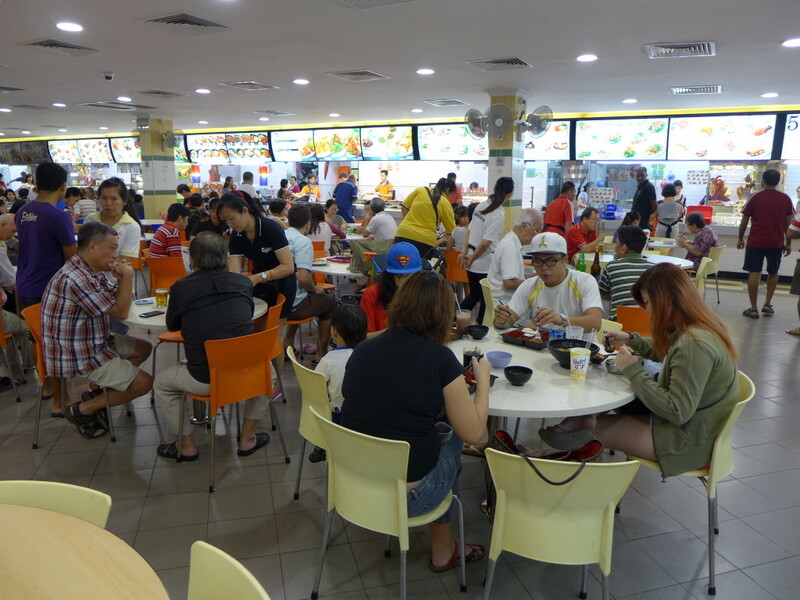 The second located next to it is the Yung Sheng Food Court. Feeling a little under the weather due to the haze? Not to worry. There are a total of 9 healthcare and medical outlets here to choose from! 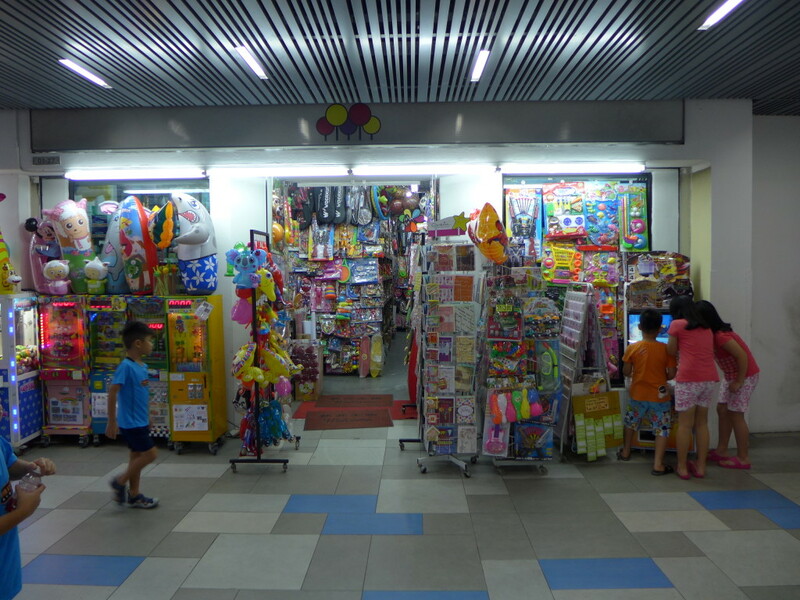 … or pick from a seemingly endless array of bright, colourful toys at this toy shop. You can even challenge your kiddo friends to a game of Animal Kaiser! That’s not all. If they have too much energy to burn, they can swing and slide in this pirate ship themed playground! Those game for more fun can check out the newest branch of Universal Stud…. errmmm sorry wrong number. This should be a household and furnishing shop. 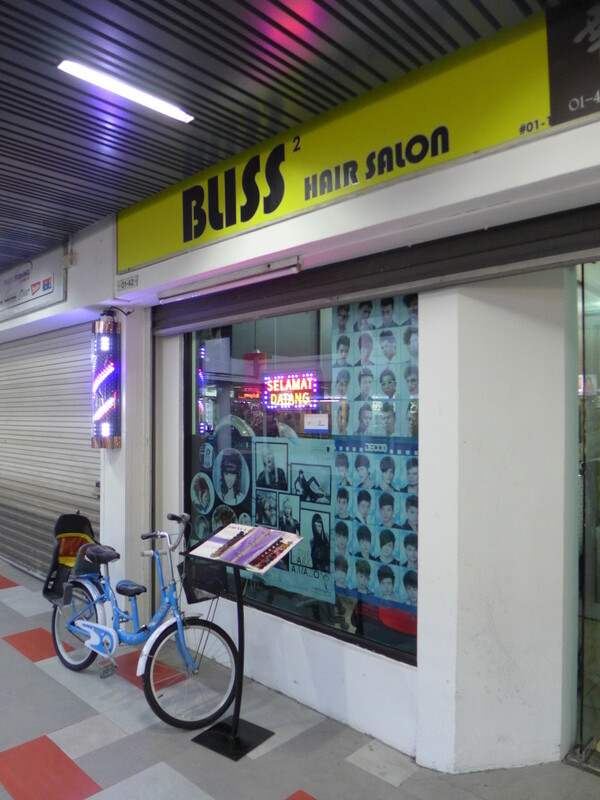 With 11 hair salons, barbers and beauty parlors, Taman Jurong Shopping Centre is pure bliss for your tresses. 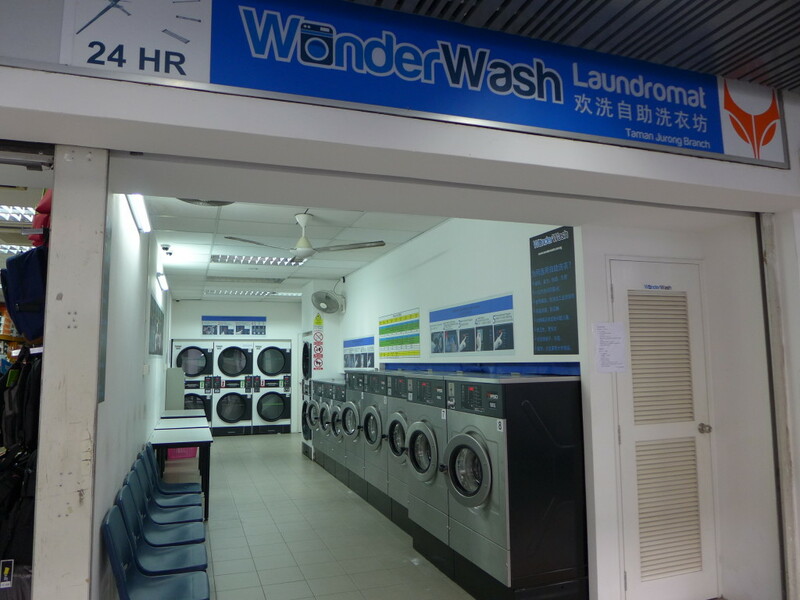 This 24-hour laundromat makes it easy for you to wash and wear, anytime of the day. #9 Money not enough? No problem! Last but certainly not least, there are ATMs around virtually every corner. Those who need to withdraw cash can do so easily and conveniently. OK, so that’s 9 reasons. What about the other 3? If you have a favourite shop at a shopping centre (maybe the uncle was always very friendly, or the auntie always gave you more meat for your chicken rice), you can vote for them in the Top 50 Favourite Shops contest. Stand a chance to win attractive prizes in a lucky draw by submitting your entry! To participate, click on the link here and use your mobile phones to scan the QR Codes for Android or iOS devices. 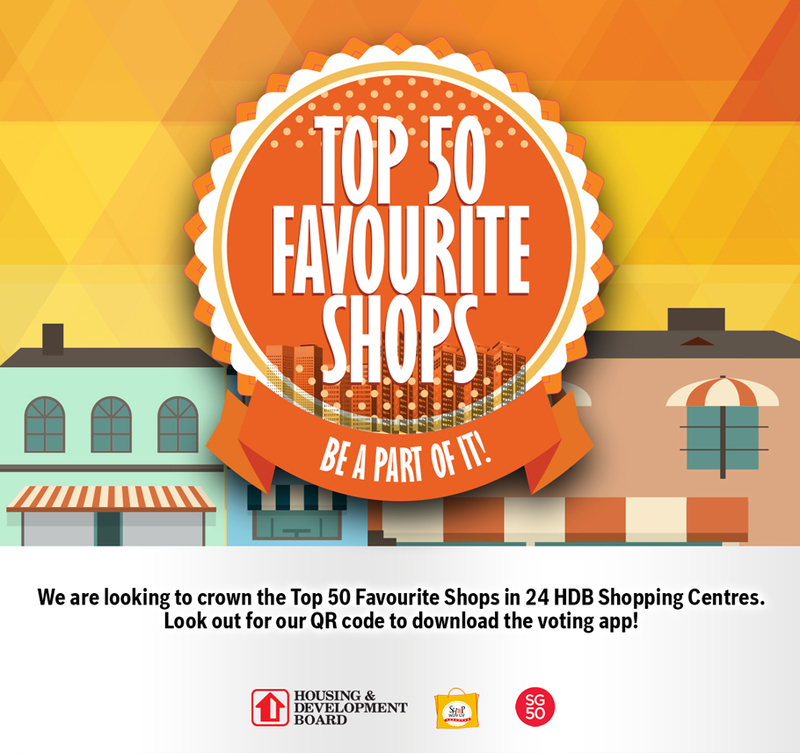 You can also download the app myfavHDBmall (on Android and iOS) to participate in the Top 50 Favourite Shops contest. The voting period is from 1 July to 31 October 2015 at 2359 hrs so do hurry! 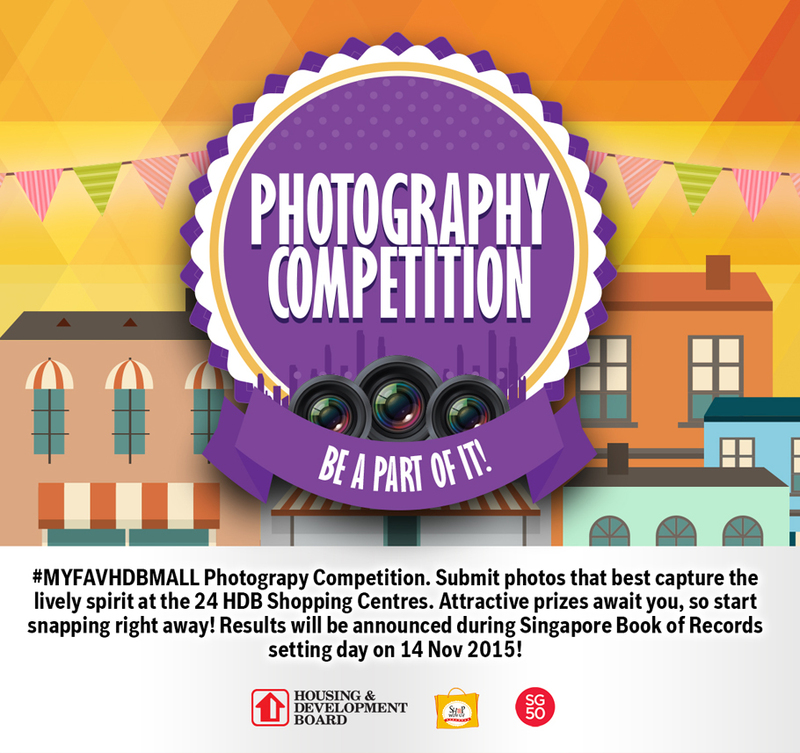 Snap and share your favourite photo in the #myfavHDBmall Photography Competition and demonstrate how HDB Shopping Centres form an integral part of the residents’ daily lives. Showcase your photographic talents at any of the 24 HDB Shopping Centres, submit your photos here, and stand a chance to win attractive prizes. What’s more, the winning entries will also be exhibited at 888 Plaza in 14 November 2015. 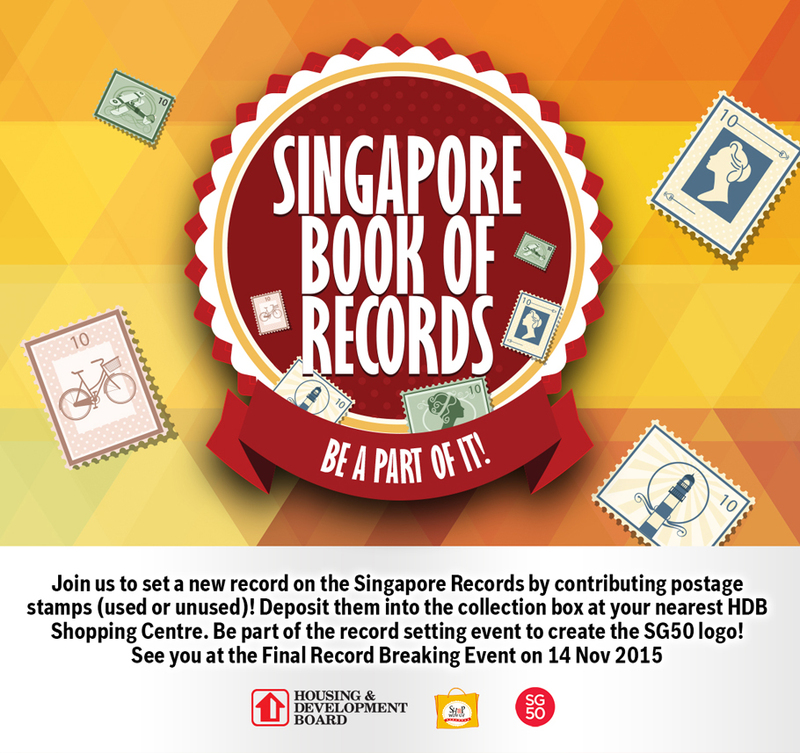 Finally, you can make history by participating in a new record for the Singapore Book of Records! Yes, we Singaporeans certainly love this sort of thing. To mark our golden jubilee, an attempt is underway to create the largest SG50 logo made from stamps. Beginning from May till end October 2015, you can play your part by donating your used and unused stamps for this record-breaking initiative. 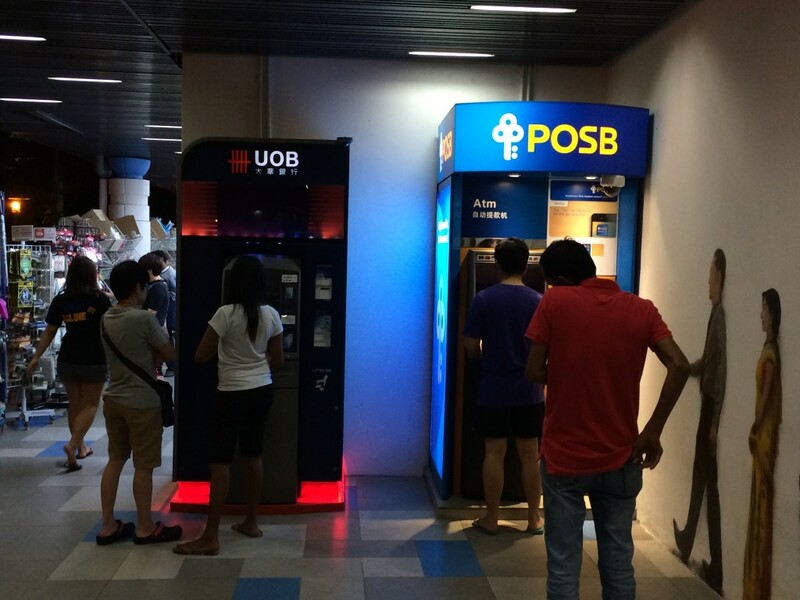 To participate, all you have to do is “post” their stamps at the specially designed post boxes at various HDB Shopping Centres. All submissions will qualify for the Lucky Draw with a total of $2,000 cash vouchers up for grabs. The finished philatelic masterpiece will be showcased at 888 Plaza on 14 November 2015. Shoppers can expect an evening of games, activities and snacks. For more details on our newest record breaking attempt, click here to find out. 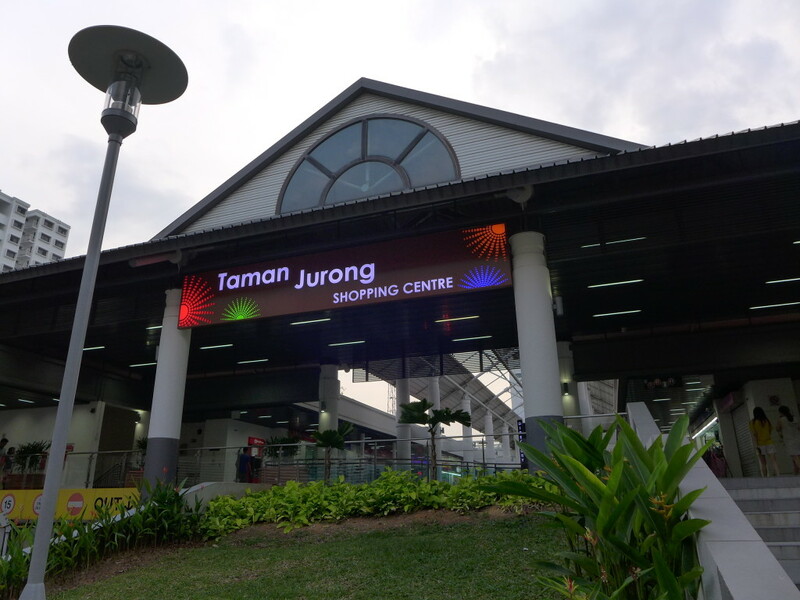 With so much to do at Taman Jurong Shopping Centre, there is really no reason why Westerners need to head East this year end! Wonderful illustrated information. I thank you about that. Would like to see some other posts on the same subject!